I think I’ve decided that Fall is my favorite time of the year. For this South African girl, American Fall temperatures are just about the same as South African winter temperatures (in the area that I’m from at least). Seeing that winter is my favorite season back home, Fall will be my favorite season over here. And take a wild guess what my favorite food for this time of the year is? It’s an easy one. Yep. Sooouuuup. 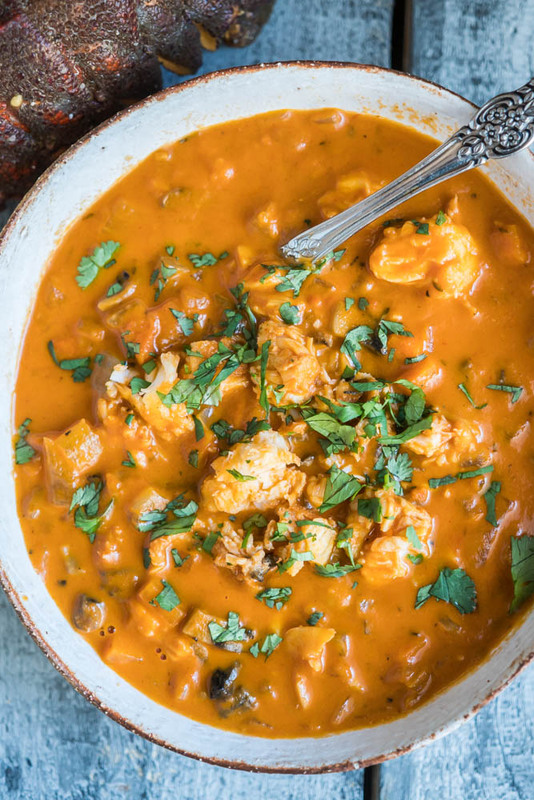 Kicking off “Soup Season 2016“ is this hearty Rustic Lobster Bisque. 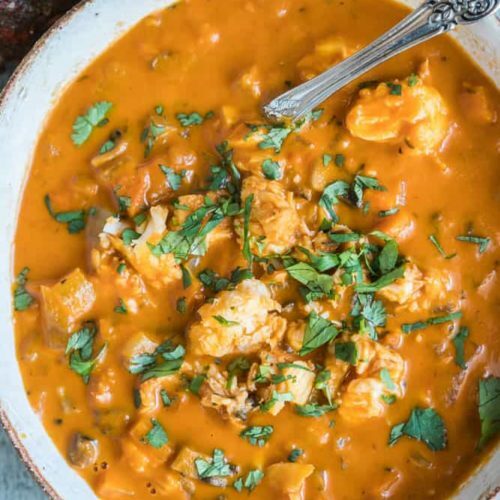 It is definitely my favorite seafood soup and oh so comforting. Nothing quite as special as a creamy lobster soup. 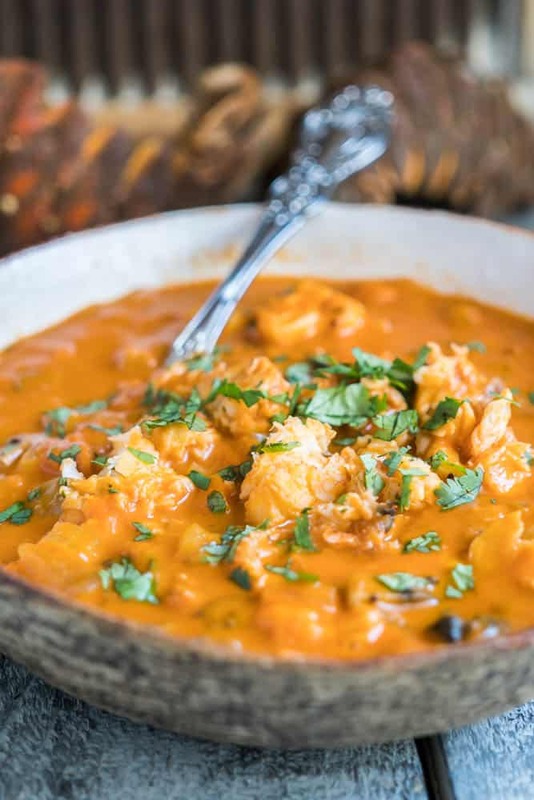 This delicious rich and creamy bisque recipe is perfect for any leftover red lobster you might have and is a quick throw-together recipe that requires no blending. Instead of using that precious extra time to blend, we just call it “rustic”. It’s a pretty good technique and so very gourmet! It still has that classic lobster bisque taste, so don’t worry about that! It’s also a Keto and Low-Carb approved recipe so no guilty feelings whatsoever. 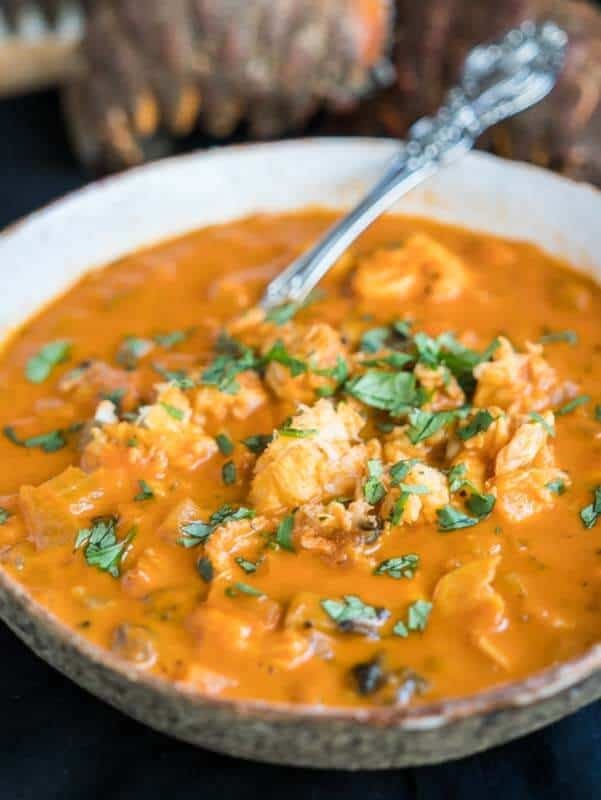 You can also easily transform this soup into a healthy Whole 30 Paleo Lobster Soup recipe by using coconut cream instead of whole cream. A creamy tomato base filled with lots of little vegetables and yummy lobster chunks. All it needs is a bit of chopping and barely 30 minutes of simmering on the stove. No excuses for skipping out on this one. No sir! Homemade Rustic Lobster Bisque. You know you want it. Resistance is futile. 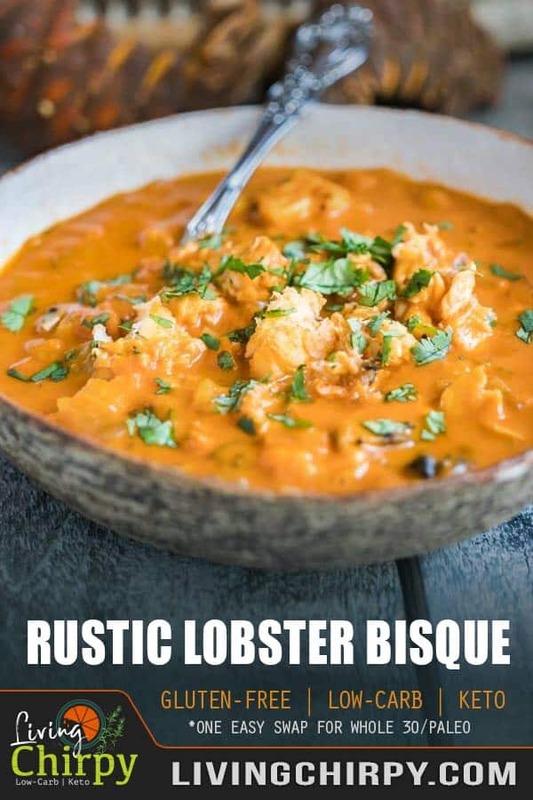 Pin It – Keto Rustic Lobster Soup Recipe! 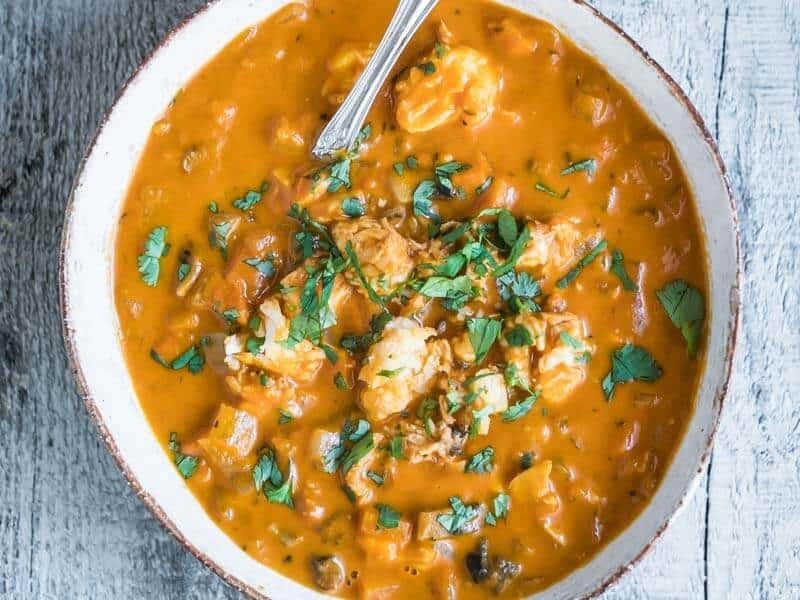 A quick and easy healthy recipe for rich creamy lobster bisque soup. Keto, low-carb and gluten-free. Sub coconut milk for a Paleo and Whole 30 friendly version. Sauté the veggies [carrot, celery, onion, tomato, mushroom] in the butter in a medium sized pot until it starts to brown a little. Remove the bay leaf at the very end and serve immediately. i made this bisque today, for Christmas. It was wonderful. my grandparents loved it as well. Hello! I stumbled upon your recipe and would love to try it as I am a huge fan of lobster bisque. I have never wanted to make it because most recipes call for the extra step of using the immersion blender which I don’t have. I noticed in your recipe this isn’t required but I had a question as to when to add the cream in. If the cream is added and left to boil/simmer, wont it curdle? Hello! What is the green garnish in the photo? Parsley? Thanks! When do you put the lobster in? Do you cook the lobster in the fish broth? Correction, not fish broth, I meant the vegetable broth. This looks amazing!!!! 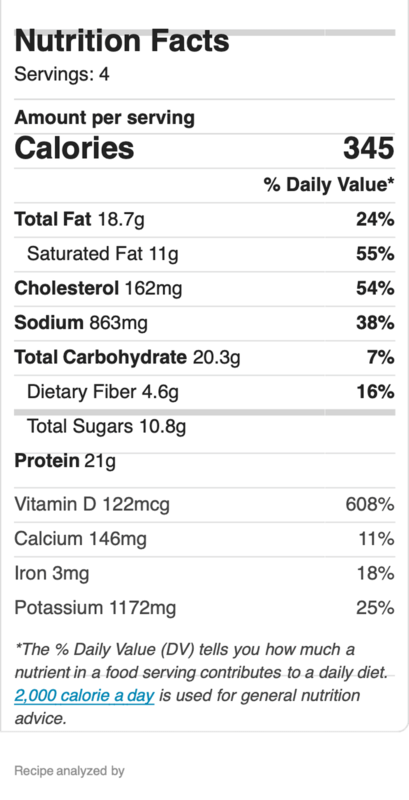 The carbs in this dish is that for all 4 servings or for each serving?